I have good news and bad news. 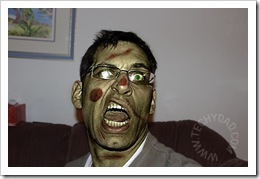 The bad news is that B, NHL, JSL and I have been turned into zombies. 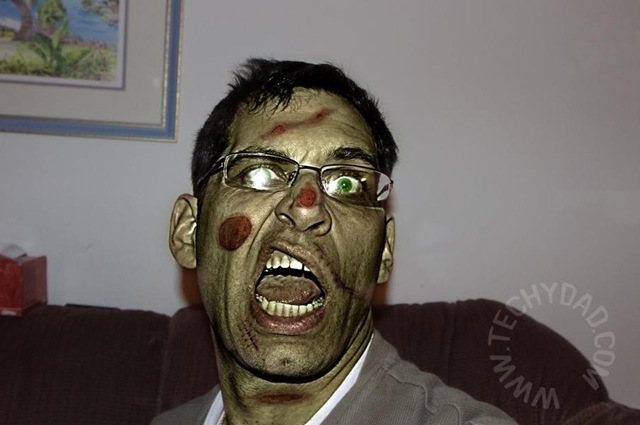 The good news is that I’m going to use this opportunity to correct up a few zombie stereotypes. 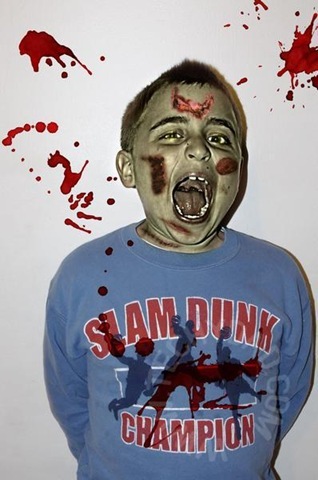 First of all, zombies aren’t always calm, shuffling, hungry for brains folks. Sometimes we can be quite angry. Especially if we don’t get the brains. 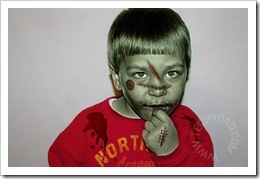 Secondly, zombies can also be quite thoughtful. Mostly, we’re thinking about how to catch more people with tasty, tasty brains. 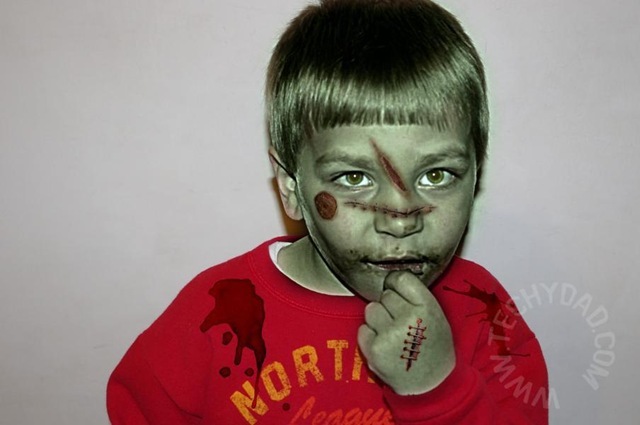 Finally, you might think that zombies don’t have any heart. While ours might not be beating, we still feel love. 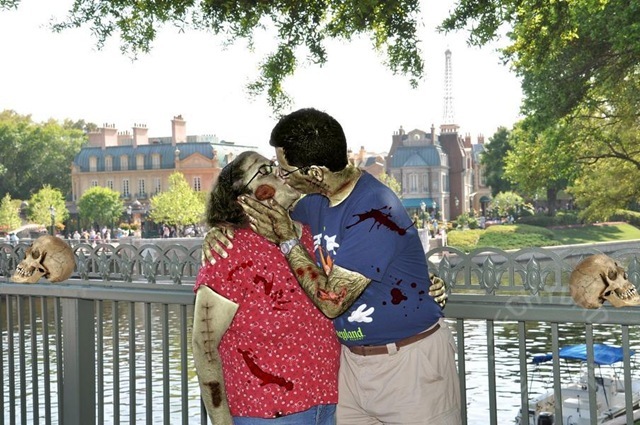 Zombie love. After this photo was taken, we dined on the photographer’s tasty brains….. It was very romantic. Well, I hope that’s cleared a few things up. I’ve got to shuffle off now. Here’s hoping you have a wonderful Halloween. P.S. 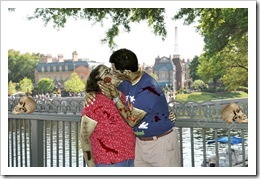 Remember to click on the photos for up close and personal zombie photos. We promise not to jump out of your screen at you… Maybe. P.P.S. 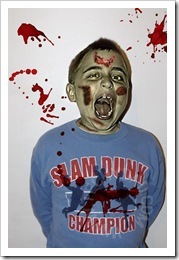 Zombification is thanks to Google Plus’s new photo editing tools (powered by Picnik).